Pillows are easy to place in hard-to-reach areas such as under machines or leaky hoses or wedge in a cramped corner. 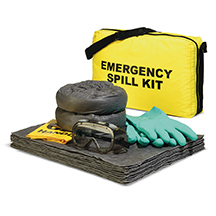 Ideal for spill response because they are easy to toss into action. 100% poly blend Pillows quickly absorb nearly any type of caustic, hazardous or unknown liquid — including acids, bases, solvents and chemicals. 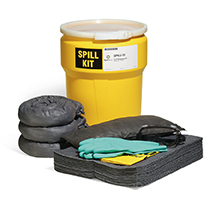 Color-coded Safety Yellow for fast identification; know exactly what you're reaching for in an emergency spill situation.